Sometimes I have images that in themselves are pretty straightforward but always look as though something is missing. 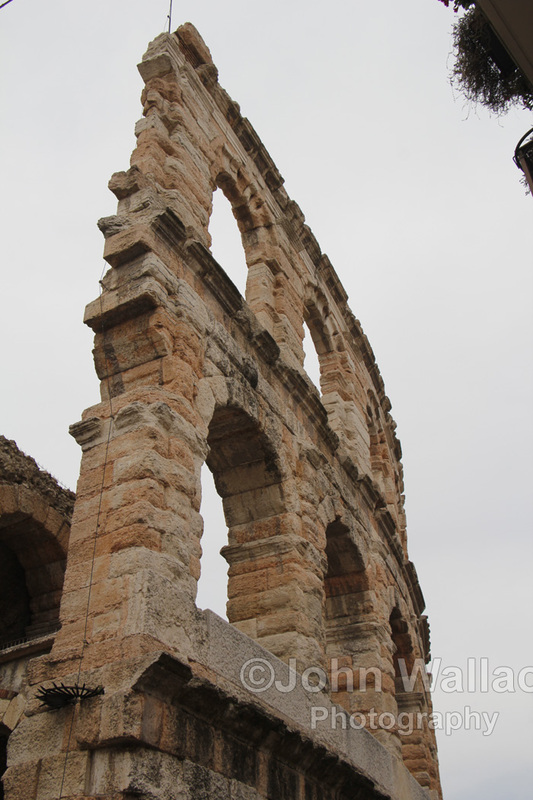 Looking through my files I came across this image of part of the Roman arena in Verona Italy that I had taken on holiday. The subject was interesting enough however there was nothing distinct about it that would make it stand out (ref the original image). I then stripped all the background from it, darkened the remains to resemble a night scene and changed the structure of the stonework to give a very grainy effect. 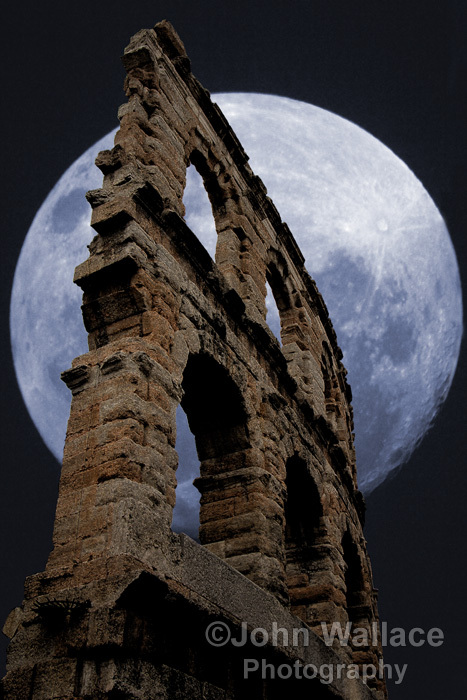 Behind the image I added the moon with a blue tint and lined up the two, in all I was quite pleased with the final effect, open to comment. 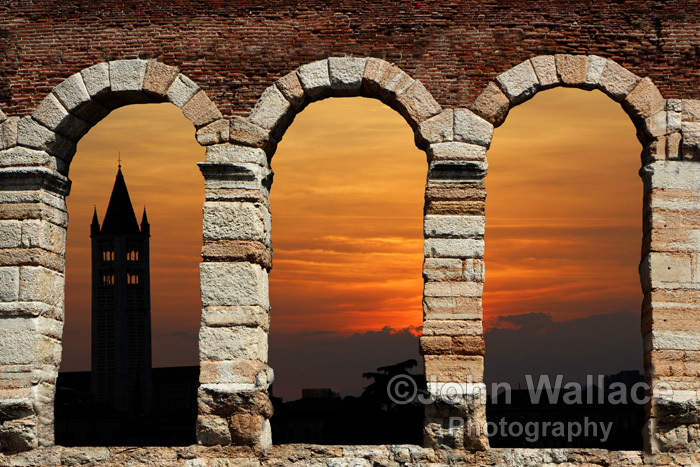 The second image was treated similarly using another part of the same arena stonework, in this case the arches once cut out gave a window effect so I added the sunset taken at Verona that evening behind the arches and gave a hue to the stonework to match. These are just examples of what can be achieved with a little effort so never delete shots just because they don’t look interesting, just mix it up a little. Camera Canon EOS 550D with EFs 18-135 IS lens. More images can be found in this sites galleries as well as high definition versions available through my online shops.